Learn to pop shot to get the Victory Royale! Information included on how to execute this technique, best weapons to improve this technique, shooting tips, pros and cons, and more! 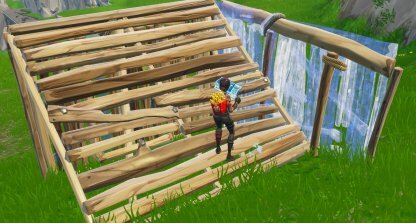 The Pop Shot Technique is a combat strategy used by players in Fortnite Battle Royale. This technique allows them to counter enemies while keeping them safe in cover for most of the time. 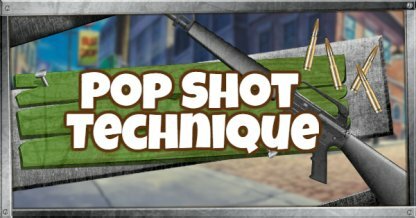 With the Pop Shot Technique, you will be able to counter-attack enemies while reducing your risk of getting shot since you are behind cover most of the time! The Pop Shot Technique is most effective when engaging mid to long range enemies. Using this technique can be less effective in close range when the combat gets more frantic. You've spotted an enemy from afar. They're training their sights on you and getting ready to fire! Here's how to counter-attack the enemy using the Pop Shot Technique! You will first need to cover yourself so that any enemy bullets will not be able to hurt you! Crouching down will make you a harder target for the enemy to see! Moving to the edge will give your camera angles the location of where your enemy is firing. With the enemy in your camera view, aim down your sights to where the enemy is. 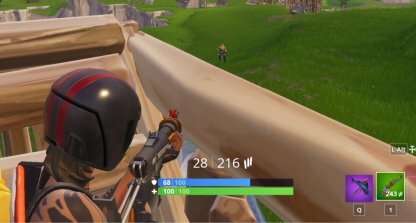 Do not shoot yet since the red X you see on your HUD indicates where you will hit if you shoot while crouched. After aiming at your enemy, stand up and fire at the enemy. Don't prolong your fire and duck back down! Repeat steps 4-5 until you finish off your opponent! Here is a list of effective weapons to use with the Pop Shot technique. 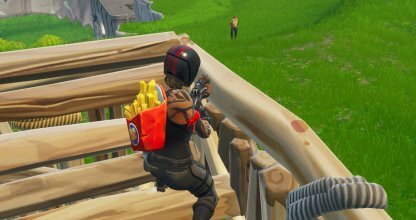 Assault Rifle The Assault Rifle can deal a good amount of damage from mid range. It fires automatically to quickly deal damage to enemies. 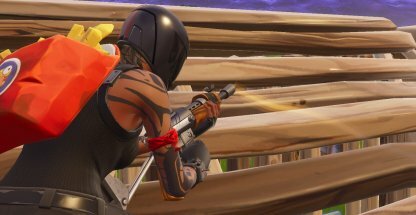 Burst Assault Rifle The Burst Assault Rifle's burst fire trait allows you not to go overboard and expose yourself for a long time. Semi-Auto Sniper Rifle This weapon can hit enemies from long range, and can fire more than 1 shot at a time. However, be wary of its scoped zoom-in, bullet drop and travel time! Bolt-Action Sniper Rifle Unlike the Semi-Auto Sniper Rifle, this weapon only fires one shot before reloading. 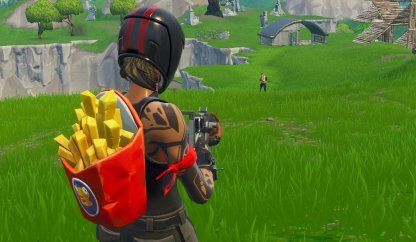 It shares the same weapon traits such as bullet drop, travel time and scoped zoom in. Heavy Sniper Rifle This weapon has one of the highest damage outputs among the Sniper Rifles. A single well-aimed shot could put an enemy down! 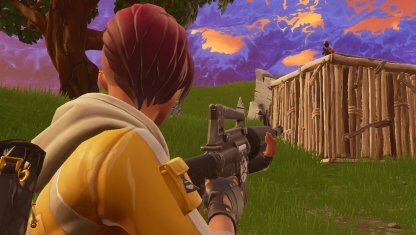 Hunting Rifle The Hunting Rifle also can hit enemies from long range, has bullet drop, and travel time. 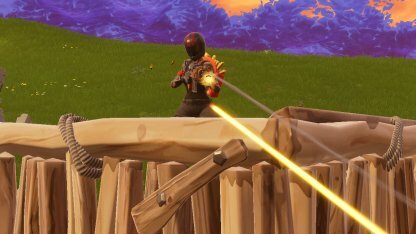 It only fires one shot at a time, but has no scoped zoom in. Before using this technique in combat, consider the Pros and Cons of the Pop Shot Technique before engaging the enemy, there may be a better option for your situation! With you crouched most of the time during this technique, enemies will not be able to shoot you since they can't see you! Try moving around the edges of your cover to keep them guessing where you'll pop out of next! By making you fire at the enemy in bursts, your bullet spray will lessen and improve your accuracy! Using the Pop Shot Technique may require some practice to easily pull off. 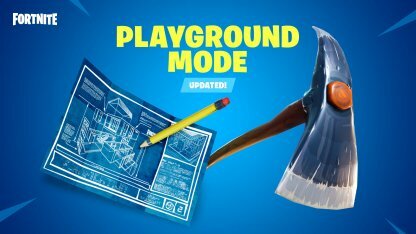 Jump into Playground Mode to practice on different targets before shooting at an actual enemy! Rhythmically standing up may give the enemy an idea of your timing. Vary the timing of your shots, and try shooting from different locations of your cover! Use your time to reload and line up your next shot! 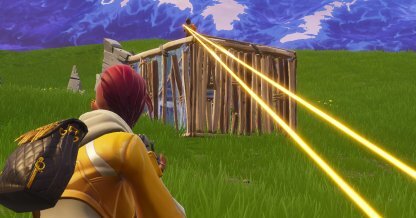 By shooting sparingly, you can lessen the bullet spray and improve your accuracy to increase the chances of hitting the enemy!